All the following are actual transactions. Just to inform you that I have done recently 2 deals through ICI. It is, no doubt, the best online site in Canada for real estate - especially commercial one. 3. I got in touch with numerous investors and realtors through your web site and most likely there will be more deals as a direct or indirect result of it .. Yes! I got the Buyers thru Your site!! Subject: MEDICAL BUILDING***ASKING 9 MILL$$ SOLD! OH....By The Way..... I am never too busy for your referrals!!! He received calls and he showed a buyer another condo $160,000 and sold it. More than $10,000 in commissions. I would like to thank you for all your help and support. I recently sold (conditionally) an Apt building around the $13,000,000 and I located the buyer through ICIWorld. Although I advertised in the Globe & Mail and in the the Commercial Investor in addition to listing the property on the MLS, most of my solid leads came from ICIWorld. I contacted professionals via ICIWorld and they responded immediately. Thanks again for your support and I would like to book a webiner next week to better understand how to fully utilize ICI's website. Dave a buyer placed a "want" into Database 2 on ICIWorld for a commercial building for an investment. Several members called him with buildings. One of them was a Re/Max agent that had a building in Oakville for $550,000. It was for Dave's Dad who ended up buying it. Dave uses ICIWorld regularly. Milia Kats Homelife Romano reports sold fve unattended laundromats. Double ended. She had multiple exclusive listings and placed them on ICIWorld. She received a great many number of calls and has a big waiting list for more. Param Sidhu,CCIM, CEO-Broker of Record, Acres Real Estate Inc.- Commercial Real Estate Brokerage, has just informed me he has sold and leased several properties over the past year, such as leasing 24,000 sq. ft of industrial space, 1,000 sq. ft. offices, etc. He has sold 2,000 sq. ft of commercial retail condos. Anand ("Nand") Murthy | MBA, CSSM, Statue RE Investments & Solutions just informed me he did two deals this last year as a result of ICIWorld. Franco Palermo, Salesperson, CAPITAL NORTH COMMERCIAL REALTY, BROKERAGE just informed me of two industrial buildings he sold this last year, one for $2,500,000 and one for $1,800,000 and that he now has an offer on another one at the moment. Recently Retired. Really enjoyed the ICI WORLD over 2 decades and made nothing but good clients from it and lots of commercial $$$$$. You have the best commercial web program out there & I loved it. Thx for all you've done for me over the many years. Tony Sirozzotti, Sales Representative, HomeLife/Durham Real Estate Corp., Brokerage placed a 11 plex apartment on ICIWorld in July. Among the calls he received was from another real estate salesperson from Royal LePage. They sold it in Sept. and it closed in November. Just under $1,000,000 and another job well done. The introduction was done through ICIWorld and they used the MLS listing for information to draw the offer. Dorin Francis, Sales Representative with Realty Executives Plus joined the service in 2009 but did not start using the service until Dec of 2010. She jumped into several webinars which show how to use Internet services successfully. She started by searching Database 2 on ICIWorld and found someone who wanted to sell a church. She placed the information into Database 1 on ICIWorld. Someone called her about a month later. She showed the property to the buyer and they made an offer and purchased the property. Approximately $2.4M and happy and satisfied customers and revenue for Dorin. Dorin has other buyers looking for more churches. Erwin Stone, Broker, Royal LePage Heartland Realty, reports several deals such as 5 plexes and other residential income producing properties. Brett Baker, Sales Representative, Coldwell Banker Commercial reports selling a shopping center in Scarborough for $1,300,000. He received 26 calls within two hours. Scott Anderson, Broker, Re/Max Real Estate Centre, Brokerage placed a medical building on ICIWorld last year. It generated leads. He developed a business relationship with one of the buyers and during the following year sold five medical buildings to him for approximately $10,000,000. All started with one simple "Have" message on ICIWorld. Scott not only deals in medical buildings but also self storage and industrial buildings, and more. Alex Sivasambu, B.Sc., MBA, Broker Coldwell Banker Sarazen Realty advertised an apartment building on ICIWorld for $6M. Over a year he had over 25 calls, showed it about 12 times, had offers and sold it. The prospect saw it on ICIWorld and used his own broker to buy it through Alex. Alex says he gets 3-4 emails per week on his properties and honestly says it is a good tool and gets all kinds of leads. I would say I get email at least once a week asking for more information on one or more of my properties, and have a number of clients come and inspect these. I would also say I have sold a number of my listings directly from the ICI WORLD. and I have an ongoing correspondence with a number of prospects at all times. 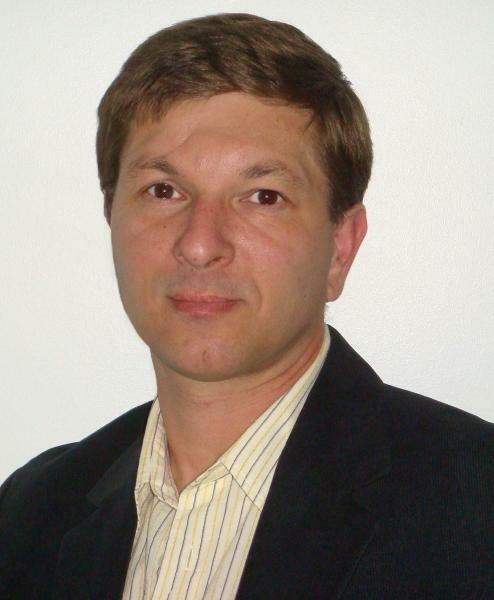 Gennady Venderov, HomeLife/ROMANO Realty Ltd., Brokerage reported two sales this last year. One was a piece of land 1 ac commercial for a retirement home $1.3M. And the other sale was a gas station business in Toronto. In each case the buyer saw the ad on ICIWorld and called directly. Income earned and a job well done. Keller Williams Real Estate Associates Brokerage, Inc., says he has done many deals through ICIWorld. He uses the Wants to get listings. He sends a link to Ontario Commercial and his customers see that he is well connected to buyers and sellers. By using ICIWorld he got a listing on a Car wash, drive through restaurant and sold it for $1.9M. He got a lot of calls. He has listed commercial buildings with apartments and small multi plexes. Ron Tomblin, Sales Representative, Re/Max Escarpment Realty Inc. Brokerage joined ICIWorld and promptly we set up a web site for him. It includes a major residential component as well as commercial real estate listings. Someone from Great Britain who new Hamilton did a search in google for some special key words and found the listing on Ron's web site due to these special key words. We call it SEO or Search Engine Optimization. He had a relative in Oakville take a look at the property to see that it was as represented by Ron. Sold and the buyer did not leave Europe! Ron chose ICIWorld as a personal marketing and information assistant. A very special web site was supplied. It contains both residential and commercial listings. Ron's listings are available in google. Realtors who use technology benefit their prospects and clients. Job well done Ron. And . . . we have more stories similar to this one. Harry Mathur, CA, Century 21 Peoples's Choice Realty Inc. just informed me he sold a $12,000,000 hotel within two weeks of joining and is working on another one. This service for ten years would cost $2,400 at today's rates. Do one deal in 90 days and make $10,000 to $50,000+ as some members have multiple times. just a note to let you know that i got an e-mail from a seller who was on the site, the result a $1.295 Million sale of a townhome project in North east , British Columbia. Just wanted to let you know, I sold the $3 million plaza last week through exposure by ICI World. You're right, it works!! Regards, John Grogan, Associate Broker, Royal LePage RCR Realty. Milia Kats, Homelife/Romano Realty Ltd reported she sold an $8,000,000 apartment building in Hamilton, Ontario. Craig Bowden, Sales Representative, Mayhew Realty, works with tenants looking for space. He is what you would call a tenant rep. One of his clients was a furniture company looking for space. Craig placed his "Want" for space on ICIWorld. Another broker called him with 8,000 square feet of vacant space for lease. There was a lot of hard work by both brokers to put in place a ten year lease. Result? Leased out space, a new business in town to serve the community, jobs for people, commerce conducted in the spirit of service and free enterprise and of course . . . income earned for a job well done. Many people do not have the time or knowledge to wherewithall to do all this themselves but with two licensed real estate brokers and ICIWorld they accomplished their goal. Ted Davis, Sales Representative, Re/Max Eastern Ontario Inc. Ted has done one million deal AND fifteen referrals! Within 30 days of joining ICIWorld he advertised a commercial property. He received calls and one particular person who he developed a business relationship with, although not interested in the property he had advertised, Ted showed him another one that was on MLS and he sold it. A million dollar type property, in a small town, all within 30 days of joining ICIWorld and at 8% commission. Secondly he recently chose to spend time at home recently for three months looking after his new baby. He began referring out all the calls that he received on ICIWorld to others within his office. Basically they were five minute phone calls each. He did 15 referrals in 90 days! He was in a small town area country area where the average sales were $300,000 to $400,000. He was the referring agent, and the referral fees that he received averaged $2,500 to $3,000 each and many people were provided a good service as a result. Most brokers and salespeople do not work referrals because they do not get the leads. Now you will with an economical membership. There are several ways to get the leads. We teach the powerful marketing methods to generate leads which really is providing service the public, in weekly education and training sessions. Details. It works for every area in the world no matter where you are located! Another time David was sitting at home, cruising on the ICI World, did a key word search for power (for power of sales) found one and sold 25 unit power of sale in Niagara Falls $325,000. With a Re/Max agent. Sold in 3 days of finding it. David has sold several shopping centers. David just reported another sale of a gas station $1.1M with another broker who saw his listing on ICIWorld. He says he gets calls from his real estate board but gets more calls from ICIWorld. Gary I just wanted to tell you that I sold another Motel in Niagara in the last two weeks, "The Surfside Inn" 31 units, Sold for $1,050,000. Sold to a buyer who found the listing on ICI World web site.You are providing the very best site in the world for commercial real estate. I am honored and proud to be a long established member, your helping hand has been nothing less than spectacular. Thanks again! 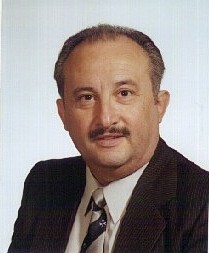 John Campisano. Do one referral and make $3,000 with one who has done fifteen! Problem fixed and then a deal was done. An owner of several investment properties and a farm called me to help him unsubscribe to emails of Haves and Wants from ICIWorld because he was getting too many emails. He was on a "one at a time" EMail meaning he would get one email for each listing. I suggested he subscribe to the DIGEST for his area. This is only one EMail per day if there are new listings, whether there are 2 or 20 new listings. He agreed. He actively looks on ICIWorld for investment properties, and now receives the DIGEST Email for his area of new Haves and Wants. He is actively looking for land, farms, retreats and residential muliplexes. He spotted a farm on ICIWorld property and told his daughter in Toronto about one. She told her partner and her partner subsequently purchased it for $700,000. ICIWorld is in one respect like classified ads in a newspaper. It is free for the public to post their Haves AND Wants! For licensed real estate salespeople it is only $240 per year to post all their ads all year long to get a readership of over 50,000 people locally and in over 100 countries of the world. All new Haves and Wants are distributed to the public and there are over 10,000 EMails delivering information daily to free selected EMail List Servers. Receive them on your iPhone or Blackberry. It is real estate information at your fingertips. Virtually everyone makes connections to do business or they may be too busy to notice all the business they can be doing and too busy to learn how quickly and easily they can be into showings or doing referrals. It is all about serving the public and this service was built to serve the public. John Gallagher, Associate Broker, Blair Blanchard Stapleton Limited A large hotel trust had tried numerous method to sell one of their landmark Toronto hotels without any success for over TWO years Using our proprietary marketing methods which included Gary's Iciworld we were able to get the property under contract within 85 days. Not bad for an $21,500,000 property that was a fixer upper! Lorne Mallory, MBA, Owner, L/G Commercial Real Estate Inc. former city councilor just reported selling a shopping center for $1,500,000 from someone out west. He gets calls from Montreal, Toronto, western provinces. He says it is a major contributor to his success. He states that he has listed properties and large properties because of ICIWorld. He gets leads on a regular basis. Here are Lornes Haves and Wants. He has sold three of them. Two were downtown buildings $195,000, $395,000 and one was land for $1.6M to major developer. He says he has been able to get listings because being in a small town, people did not realize he had this kind of national and world coverage. Lorne has passed away. May he rest in peace. I saw Lorne as a wonderful person serving his community and we miss him. Bruce Cooke, CCIM, Commercial Sales Representative, Royal LePage ProAlliance Realty reports selling a $4,200,000 apartment building and an $800,000 office building. The buyer from Europe saw it on the Internet on ICIWorld and from all the information and the pictures made an offer subject to inspection. He flew over to see it, did his due diligence and bought it. Hats off to Bruce Cooke for his world wide marketing efforts through ICIWorld. As a result I have now made contact with a new client that intends to invest in other properties. Michael Perretta, Broker, Century 21 Associates Inc., reports selling an office building for $1,500,000. It was an exclusive listing not on a real estate board. He had more than 30 calls in a three week period. One was from one buyer and Michael sold it himself. The retail lease was 1,500 sq.ft. He placed a Want for the retail lease for Yonge St. and a property manager of a property called him. Toronto real estate sales representative sells office towers $54,000,000 triple net leased investment as a result of connections made through information placed on ICIWorld. It started from a "Want." Someone in the business saw this "Want" knew about one for sale and contacted her. With due diligence and hard work over 8 months she made a six figure income in this one deal. Sam Tassone, Broker, Blue Spring Realty Ltd. reports he has done four deals through ICIWorld. He says he receives more calls on his ads than one of his local commercial real estate advertising publications. Editors Note: Does this mean a person should drop other forms of advertising? No. It simply means everyone should be including ICIWorld as an important tool in everyone's "business information toolbox." 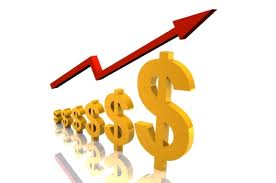 At only $240 per year for unlimited ads it is quite economical. Jonathan Jakubec (EMail) joined as a principal as we did not have a member broker of ICIWorld in his area when he joined. See who can join. He was looking for properties in South America at the time. He found that someone had placed a private FSBO in Database 2 of 17,000 acres in Peru. He bought it! We recommend everyone in the world place their property in Database 2 because there is no excuse. It is free! There is world wide exposure. This means readership for your information no matter where you are located! Portolios of $40,000,000 have been sold as a result of connections made with people in Database 2! Through the people he has met through ICIWorld, John has also purchased an industrial building, and more acreage, properties that were not on ICIWorld, but he developed business relationships with people and did deals not on ICIWorld in Peru. It is the connections to people that we would like to stress is the true benefit of this service. At present he is looking for Heritage Buildings in the USA. Douglas Rielly, Broker, Empire Real Estate Service Ltd.
Has sold three trailer parks as a result of connections he made through ICIWorld. In each case he got the buyer right from advertising on the service. They were all exclusive listings, not on a real estate board. They were all over $1,000,000. In his case he did not get many calls but the calls that he got were serious. They averaged six months to one year to sell. 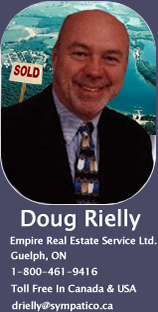 Doug specializes in recreational income property, trailer parks, golf courses, marinas, mobile home parks, etc. He regrets not having got involved on the Internet and ICIWorld sooner, because he did not take it serious enough sooner. Now he is applying technology to his business and is profiting and serving his clients well. This can be done by every broker and salesperson in the world no matter where in the world you are located. I have advertised my properties with you in the past ( most recently Waterloo $1.5MM) and have also raised some money ($1.2MM last August) via ICI World. You were recently in Waterloo to view an apartment for your son with my wife (University Avenue). I've always enjoyed your site and will continue to use it. If your son decides to reside with us, I hope to meet you. This page is an example of transactions that were done, NOT STARTED ON A REAL ESTATE BOARD. Now real estate salespeople can do both. Members benefit because real estate on the Internet provides the highest return on investment (ROI) of any industry on the Internet because one lead can make you a lot of money. There are unique ways and services that are not available world wide from any other world wide service that allow you to unlock the potential in your market place. Just ask. Robert Mueller, Sales Representative, Trius Realty Inc. had restaurant banquet center for sale for two years. In the third year he placed it on ICIWorld for the first time. He had about ten enquiries over about 11 months and one from a principal who he sold it to. $1,200,000 sale double end. He says he chooses not do many deals fewer deals but bigger deals and ICIWorld helps to do that. He also sold a manufacturing business through ICIWorld. Robert has also incorporated special data base links from ICIWorld onto his home page. Ron Barsi, Associate Broker, Sutton Group Status Realty Inc. had a client who placed an apartment building for sale on ICIWorld. He received between 25-50 calls and one was from a buyer who Ron developed a relationship with and sold the property. He is now working with these other buyers to find them properties in the marketplace. Bryon Armstrong, Sales Representative, Royal Lepage Your Community R.E. placed a want for development property. He received about 5 calls with the majority of land too small. However one was good enough and he placed an offer and it sold for $24M cash. It was another broker on the service who saw his want and knew another broker who had some land. He believes there is even a lot more potential for the industry than is currently being utilized. If it wasn't for the one broker spotting the want on the service, there would have been no deal. Information helped this transaction. It is impossible to know about everything everywhere and the ideal situation would be to have it on this information service. Many people prefer the confidentiality of marketing a property and ICIWorld is best suited to accomplish that. Mike McNabb, Sales Representative, ReMax First Choice Realty (Thunder Bay) Ltd. Listed and sold a 22 unit apartment building for $790,000. He says he advertises on ICIWorld because of the exposure. Most of his buyers are coming from out of town. To advertise in a national newspaper the same way would cost him $400 per day he says. 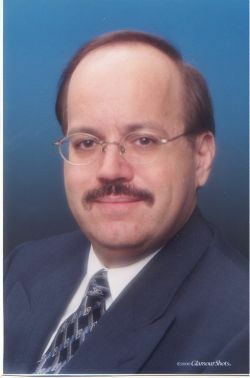 Ted Eker, Sales Representative, Homelife/Cimerman Real Estate Ltd. Reports selling a $1,700,000 retail plaza in Toronto. He had over 70 calls from ICIWorld and five from his real estate board in this case, both important services to be working when you are trying to sell. He also received many enquiries which he now has their names and numbers and searches on their behalf. He is placing them as wants on the service. Editors note: Highest and best price and terms means marketing your information to the greatest number of people. If you miss placing your information on ICIWorld you can easily miss doing a deal and not even realize it. We recommend using real estate boards AND competent and compatible services such as ICIWorld and local newspaper and trade publications or you can easily miss reaching potential buyers or sellers. ICIWorld is a database on the Internet that permanently maintains your information as long as you wish. A ten year membership is $2,000. 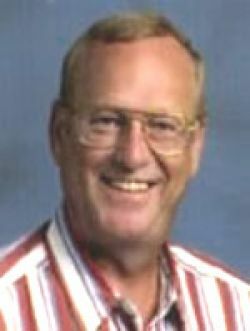 John Gallagher, Associate Broker, Blair Blanchard Stapleton Limited had a manufacturing business with real estate. He placed it on the service. He had calls from all over the world and the buyer was found within three months through ICIWorld. With all the different media, mls, advertising vehicles, etc. he said it was ICIWorld that generated 85% of the calls. Examples were from Canada, USA, India, England, and more. Alam Qureshi, Sales Representative, Coldwell Banker, Pinnacle - He placed an ad for a gas station and received many calls. One call was a person who he developed a relationship with and ended up selling the person a home. This is another good example of how one meets other people to do deals. And the person is still in search of a business through Alam. Alam has now done this twice. Both are still in search of a business. 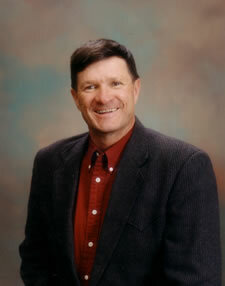 Jim Waine, Sales Representative, Prudential Lifestyles Real Estate - One of Jim's clients was looking for a marina. They searched ICIWorld and found many qualified marinas. He showed three of them and made an offer on one and bought it. He made $22,500 and successfully served his buyer and the seller. He says there are lots of business opportunities, it is a great way to advertise, and a lot of business people prefer confidential marketing of their property which ICIWorld does quite nicely. John Gallagher, Associate Broker, Blair Blanchard Stapleton Limited - Reported a restaurant sold. He had an ad on for financing on ICIWorld and received a call. He talked about a restaurant he had for sale and sold it to this person. This is a good example of how talking with people, developing a relationship, and discussing other things can lead to doing deals. 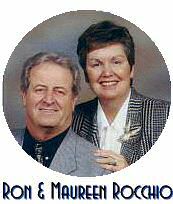 Ron & Maureen Rocchio www.kawarthaconnection.com Many thanks for the update today. It is great to know that you are available when we need help. Just wanted to let you know that we sold a resort/marina as a direct result of our listing on ICI World through another member. Mark Zik, Coldwell Banker Pinnacle has been a member for four months. He placed an ad for four plex which was on MLS which he placed on ICIWorld when he joined. He had four showings the following weekend, three from ICIWorld. He sold it to one of them a week later. This resulted in good service to both the buyer and the seller and Mark made enough to have a membership in ICIWorld for the next ten years and more. Franco Palermo, Sales Representative, HomeLife Metro Realty sold a $2.3M Industrial building. He advertised it and sold it in a four month period. The other broker who sold it was told about it through one of ICIWorld's member broker. HOME PAGE | Rosemary's Commercial Listings. Jim Straughan, Century 21 First Canadian sold a campground. He had another property advertised, received a call and the property that he called on was not suitable. He found another one that was suitable and sold it. It was around $890,000. Jim's Haves and Wants. He says ICIWorld is great for referrals and networking. Bill Bradley, Sales Representative, Re/Max About Town Realty Inc. uses the service to search commercial properties and submit them to buyers. He has sold over 20 properties from this introduction and six directly. He has sold a 39 unit apartment building, and more. He receives the listings daily and makes connections. He prints things out daily. He has buyers for investment land, gas stations, apartment buildings. He takes one at time and services his people. Here are Bills Haves and Wants. 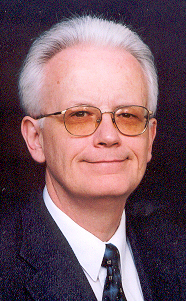 Paul Craig, Vice President , Prudential Sadie Moranis Realty has made over $50,000 in 2003. One of the sales was an automotive parts company. The client was a new arrival purchaser in Canada from South America. It was part of a corporate strategy to acquire a business in Canada. He answered an ad that Paul had on ICIWorld on a distribution business and bought it very quickly. He already has another referral from that sale and has had several sales in past years. Paul served his clients and new prospect successfully and can help you as well. Here are his Haves and Wants. He feels that ICIWorld is the best place to advertise and invites you to place your information with him. Call him anytime. Judy Kazimer, Sales Representative with Re/Max Commercial Focus Inc. uses ICIWorld exclusively. She has made $30,000 in the first two months alone this year. She has sold restaurants, she has gotten other clients and sold them other businesses and revenue producing properties. She has built up a large personal network of people through contacts on ICIWorld that has helped her market property internationally. She highly recommends it to every broker in the world. It has been the success of her business. She says there are more people looking for commercial real estate and businesses. It is clear information, it is world wide, it is a broad range. She says there are more people are shopping the net these days and are not privy to real estate boards. This service serves both purposes, putting out your haves and wants and having people find it without any trouble. It is simply great exposure. $750,000 Sale of apartment building in Toronto. Habib Quadri, Sutton Group placed it on ICIWorld and a gentleman from Kuwait, Middle East, responded and came and looked at the property and bought it. Ian Geddes, Coast Realty Group (Comox Valley) Ltd., Commercial Division reports that he had resort with a golf course for sale on ICIWorld. He had it on for a month or so and had about six calls, one from a realtor in Ontario who had a buyer for a golf course. They worked a referral, and Ian sold the golf course portion and paid a referral fee to the broker on the sale of a $1,250,000 golf course. This also was great service to the public the buyer and the seller. Tony Di Carlo, CCIM, Incompro Ltd. Realtor an independent broker had an older listing on a 20 suite apartment advertised and an engineer called him. The building happened to have been sold but Tony developed a business relationship with the prospect who was technically inclined. Tony emailed him a list of apartment buildings and he subsequently bought one. Tony specializes in apartment buildings. Talking about referrals, Brian Batchelar, Sales Rep. with Re/Max Brampton was receiving the Digest for his area on a regular basis which he was reviewing daily. Another agent in the office was looking for an apartment building and Brian had just saw one in the Digest for his area by another broker on the service. He referred it and made $12,000 for five minutes work! And . . . there was another sale of a member of an apartment building. Unless you subscribe to receive the Haves and Wants, you will not find out about Haves and Wants until it is too late. This is the fastest delivery of information in the industry world wide. When a member places and Have and/or Want on the service, not only does it go to the top of a database that is receiving over 1,000,000 hits per month from over 8,000 pages on the Internet, but it is also delivered by email to the industry. There are over 10,000 EMails delivering Haves and Wants daily to selected EMail List Services to the industry world wide by our servers in San Jose, California and Mississauga. Subscribe/Unsubscribe Free to the Email List Service for your area. One "Want" for instance, may go to the USA list service, each state also could receive it and several regions. That way a person in California who only wants just Californian Haves and Wants receives that "Want." We recommend everyone select the DIGEST method for their state and/or province or region. People who specialize can select to receive just their specialty. One of the true value added services licensed real estate people provide the public with is their "information handling abilities." ICIWorld provides and teaches skills to help members collect, manage, and market information for the benefit of their clients and prospects. Every person with a license should become a member. There are unique services here that not available on any other major world wide service in the world. Jack Roberts, Associate Broker, Sutton Group All Pro Realty Inc. used ICIWorld in his listing presentation and obtained a listing on a farm. It was 100 acres with a home and barn in a growth area. He received about 12 calls over 90 days. These calls were mostly from out of the area and from all the advertising that he did, most were from ICIWorld. One showing was from another broker and they both sold the farm for $450,000. Jack employed techniques in ICIWorld's Marketing Plan for Members that helped to effectively market this property and he can do a great job for you. Call him at 1-800-462-7989. Jack also had a listing on a bagel business and placed it on ICIWorld. He received over 24 calls over 2 months one from a principal who ended up buying the business. Jack says that it puts him in touch with people who are serious about buying businesses and commercial real estate. A HomeLife real estate agent advertised in a trade publication and received a call from a person who wanted to buy a gas station. He searched ICIWorld for gas stations and found many and showed one and sold it. He uses his MLS system and ICIWorld extensively and find they go hand in hand to network information for buyers and sellers. He has made a lot of great connections and continues to do so. One broker reports that he gets a higher caliber of clientele. He likes Internet customers. He says they are more sophisticated and he has found them to be loyal. He says they use EMail and Voice Mail, they are sincere people and show up for appointments. He finds them easier to service. A Remax agent who has been using the service for three years has had several deals. There were many small deals which were retail leases and other small sales where she advertised the space, got a tenant and leased it. She has been contacted by people from New York Florida Michigan and is working on transactions on office buildings, shopping centers and hotels. She says she has created a network of people that have brought great strength to her business which is basically principals she is dealing with, properties that are not out on the open market. She is excited to get her whole office on board of about 15 agents. Basic Axiom - The more opportunities exposed to the world marketplace of Haves and Wants to do business, the better the opportunities there are to match those opportunities with a corresponding buyer or seller to do business. This applies within real estate offices, this applies to the whole world. This also results in the highest and best price being obtained by sellers and results in the best deals being obtained by buyers. If you miss placing your Have and/or Want information, you miss doing deals. ICIWorld member information now receives over 1,000,000 hits per month from the public. We are so busy doing seminars, conferences and conventions we have not had the time to continue adding daily and weekly testimonials. For members there is now a Sold Database. Members are encouraged to mark their Haves and Wants as Sold or Leased, but it is not mandatory. We exhibited at the Financial Forum (details) where we conducted three seminars. Over 40 Haves and Wants from the public were placed on ICIWorld in the private FSBO Area. Buyers and sellers of Hotels, Apartments, Shopping Centers, Industrial, Business Opportunities, Land, Resorts, Farms, from Nova Scotia to Niagara Falls to the USA. See Database 2. Licensed real estate brokers and salespeople can become Executive Members of ICIWorld and have access to this area. Once you are a member, you should subscribe to receive these listings by EMail literally within an hour of them being placed. Cooperation between brokers is networking to the max. Two brokers split $75,000 selling a medical building. They met through ICIWorld. One had the buyer and one had the seller. The true strength of the service is the people on the service. You meet others who you can do business with. In our opinion, real estate brokers and salespeople are best positioned in the industry to collect buying and selling information. ICIWorld becomes the ultimate tool on the Internet when they work that information for the benefit of the public. It is a responsibility of all in the industry to recognize important information that can make you money and then work it through the industry in an effective manner. Fell free to contact us anytime. A HomeLife Real Estate Broker placed an ad for a motel on October 15 and he had four enquiries. He showed one of them and sold it and it closed Dec 5, 2002. It was a 19 unit and there was a $32,000 commission. He also sold the owners of the motel a home to retire in. This service is very similar to classified ads in a newspaper and basically what works best he picks up more prospects. Getting buyers and prospects is valuable. When he has prospects in the office, he also shows them product. A Prudential real estate broker acting as salesperson joined the service and immediately received a call from a developer from another province on one of the ads. A year and a half later the developer came to his area. He sold the developer a piece of land for $1.050,000 (double ender). The developer created 58 lots and the salesperson sold them to a builder for $5,000,000 (double ender). He has since sold the same people a $3,500,000 development site and double ended that. Plus he has sold another $600,000 that was listed with another MLS realtor. This all started with one simply phone call from an ad on ICIWorld. Yesterday he just completed a conditional offer for a $600,000 property and that was from a response off an ad on ICIWorld that was price reduction. A HomeLife Real Estate Salesperson placed a resort-motel on ICIWorld. Over the next year he had about 30 calls of which he sold 4 other resort properties making over $56,000. Eventually a one principal bought the motel. So sometimes a listing can generate many buyers that members can sell other things to. 10/26/02 Ed Golz, a Sutton Group Associate Broker placed a resort on ICIWorld. Editors Note: Edgar is now deceased and is sorely missed. He was professional in his business and was humorous. He always made you smile. I will miss him. He was a leader on the Internet and using technology and loved people. He received several calls over two months. One call was from Switzerland. They saw it on the Internet on ICIWorld and had a friend of theirs who lived near the property look at it. He recommended they should come over and see it. They did and bought it for $625,000. He also had another one where he placed another resort for sale for $890,000. A film producer in California saw it on the Internet on ICIWorld and called him. His father in law who lived near the property looked at it for him. Consequently the film producer and his wife came to see it and bought it. Total commission on those two deals was $36,000 and $48,000 = $84,000. These are not the only deals he has generated. He has also had several smaller deals like apartment buildings, nurseries, subdivisions, etc. He receives several calls per day from both his web site and ICIWorld, which are linked and intertwined. As the whole real estate industry places their information on here, it simply makes it so easy for the public. Every licensed real estate broker and salesperson who joins needs to have the skill talents to make this high tech world service work for them and their clients. There are so many new developments happening so fast that it is vital for all Executive Members to have an up date training session annually. There are concepts that are literally the difference between doing deals and not doing deals. For instance one of the True Powers of the Internet is in "linking." Do you know how to do it and why? Did you know you can add 10,000 listings to your home page with one link? Here are details. We respectfully submit, that every single person with a real estate license in the world who is interested in making money in commercial real estate should be adding these "information tools" to their "information tool box" and marketing services for their clients and prospects. Three brokers combined to sell a $20,000,000 hotel. A Coldwell Banker Broker sold a $1,800,000 retail plaza. He also had another buyer with $1,000,000. However there was an opportunity to provide $1,000,000 in financing on this plaza. The other buyer ended up providing a $1,000,000 mortgage at 10% instead of buying. This broker also sold another plaza around $500,000. How much does it cost to place your Haves and Wants all year long and make connections to do deals? Membership Details. In one respect think of it as the "worlds largest bulletin board" for placing Haves and Wants for Industrial Commercial and Investment Real Estate, Land, Farms, Business Opportunities and more. If you do not place your haves and wants and keep them up to date, you are missing doing deals. He says he was simply getting continuous calls. Financing was a big issue for most people as the one plaza was not fully rented. Part way into the deal it got rented and they got the financing. Century 21 Associate Broker and CCIM leased a 11,500 square feet industrial building. He had over 100 calls with an offer coming in at the three month mark and eventual deal by the six month! Whenever people call a broker or salesperson on a listing and the listing does not suit that client, this is what I call "information." You have spent a lot of money to build a real estate office and business practice and outfit it with phones, to handle information in the business, etc. And then someone calls and when the property does not suit the client, that prospects name sits in a card file system or on your computer doing . . . nothing. We say, activate this information. Place it as a Want on the service. Give the community a chance to respond. 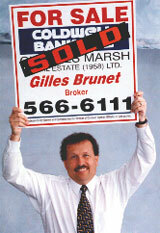 A long time ago I had one listing that generated many calls and sold seven other properties off that one ad! The same thing is happening on ICIWorld in some cases. One of the biggest responsibilities of all licensed real estate people is to recognize important information that can make you money and then to write it down. If you do not, you can miss working important information through the marketplace and you can miss doing deals and not even know it. Place it on ICIWorld so the someone in the world can connect with you. Tenants and buyers should be placing their "Wants" on the service. It is free for the public to do so. Brokers and Salespeople should be working these Wants on the service that distribute this information by email to all who are interested. Everyone in the commercial real estate industry should be on this service. One broker has called our EMail List Service a service with "brains." This broker by the way has sold over $1 Billion worth of real estate. A Century 21 Broker listed an office building exclusively for $1,650,000. Within 2-3 weeks of placing it on ICIWorld he received about 20 calls. He ended up selling it to a principal who had seen it on ICIWorld. Total commission was approximately $45,000. Some of these other buyers he is now working with. He has had about six deals resulting from connections both directly and indirectly as a result of ICIWorld. He has sold a restaurant business, a triplex, he has leased half an office building over 6,500 sq. ft., for example and several more. He says it is the easiest and most efficient method for both brokers and potential clients to find suitable investments for their clients. It certainly complements what is on his real estate board and fits together working side by side with his real estate board. A Re/max Associate Broker got a listing on a Power of Sale for a well known brewery. Placed it on ICIWorld. He had a number of phone calls and one after two months ended up buying it. The buyer saw the listing on the ICIWorld network, called the broker and the deal was done. In all his listing presentations, this broker uses ICIWorld as a listing tool, mainly for the marketing exposure. He feels all of the commercial real estate agents and investors in the world will notice this property. He says the contacts he makes through ICIWorld are fabulous. He feels he is getting well known throughout his country area and he is now getting referrals because they feel he is on the ball, he is on the job, he knows his area. He is making a name for himself and he credits ICIWorld as doing that. A Coldwell Banker Sales Representative sold two businesses. He placed a restaurant for sale on the service. He had it on there for about six months and finally sold it for about $125,000. It was a double ender. What was interesting about this listing, was the fact that during the six months, he received three other prospects and sold one of them another property and made some money! He uses ICIWorld in his listing presentations and there is a certain comfort that people have that they know their property is on the Internet in an effective fashion. The public is asking that it be on the Internet. He also likes it because he can place information that is not listed but the owner said "if you can find a buyer, I will sell it, but they do not want to get formal about it." He has gotten leads from these and considers ICIWorld as a great lead generator. He also placed a "Want" for a manufacturing business. An owner of a manufacturing business called him but it did not suit the buyer. The broker developed a relationship with this owner and now has that manufacturing business for sale. It all started with a "Want." Every single broker and salesperson should be carrying around "Have" and "Want" sheets. Recognize important information that can benefit people, and right them onto a Have or Want sheet and then delegate the placement onto ICIWorld for the world to see. If you do not, you miss working your information through the industry and you actually miss doing deals, and you do not even know it. 22 months on the market . . . 3 months SOLD on ICIWorld. It was a property that was on the market for 22 months with an independent broker. He had two more months to try to sell it and he was going to walk away from it. He had joined ICIWorld and had it on ICIWorld for 2 months when he got a call and ended up selling the property to a buyer. It was a trailer park and sold for $750,000 with a 6% commission. He was in the area recently and was talking with the buyer that he sold it to about how she found out about the property that is when he discovered it was through ICIWorld. Busy for two weeks. We are downsizing our position with Yahoo and increasing and beefing up our own computers to deliver mail, now averaging 10,000 EMails per day. Try it out. Subscribe to a list for your area. More and more deals are being done directly from these emails. Motel sold to offshore buyer by Royal LePage Sales Representative. A Re/Max Commercial Sales Person listed a plaza for lease. In the plaza were three vacant retail spaces for lease. She placed it on ICIWorld and she received 10-15 calls within one week! One of them was from a pharmacy about 1,000 sq. ft. which she leased and made a commission $4,200. She did another one in the same plaza for about 1,000 sq. ft. again to a caterer with take out food and made another $4,200. She originally got the listing from a lawyer who was visiting ICIWorld on the web site and called her off another space for lease that she had downtown. He asked if she did retail leasing and she did business with him. She is also working on major offers in the millions on other projects at the moment from contacts that she has made here. She says "this has opened up a lot of doors for her." A Coldwell Banker Salesperson leased 15,000sf industrial space. But how it happened was like this. He placed several units of an industrial complex on ICIWorld, each about 2,000 sq.ft. each. He received a call from a principal who wanted 15,000sf. He did not have it, but subsequently found it. Commission about $7,000. This salesperson has also leased retail space 1,200sf. A property manager found this space on behalf of his client. Commission $3,000. He has an offer tonight from a principal who called him off ICIWorld on a $500,000 property. He says he has received a lot more calls in the last year than ever. the critical mass that is continuing to build in favour of ICIWorld. You only have to see the private FSBO Area listings being placed by people throughout the world to see the interest. This is truly a world bulletin board for everyone on the planet earth with Have and/or Want commercial real estate information. A Homelife Real Estate Sales Representative just joined the service, placed two plazas on the system and immediately got calls and is set to show the plazas after signing some confidentiality agreements. He told his wife "this may be the best $319 he has ever spent in the business." Recently another broker that I talked to, had three cheques in his hands from deals he just had on ICIWorld. He was on his way to buy his wife a Ford Bronco and was going to the Caribbean on a cruise. It was surprising and not surprising what he said next. He said Gary, "I am not a good proponent of your service. I do not tell anyone how I am getting my deals." "I do not even tell anyone in my office! This is true with others on our service. If you find a gold mine, are you going to run out and tell everyone? One referral from the FSBO Area, such as listing 4576 "Wanted Income Property $500K-$1.5M" that you could refer to another broker or salesperson could make you, 25% of the selling end of a 5% commission on $1,500,000. 25% x 2.5% x $1.5M = $9,375 for a five minute referral and there are 4,000 opportunities in the FREE FSBO Area to do this. If you do ten referrals can you make money. How competent are the people that you are referring these listings and buying opportunities to? Use your companies referral directory, ICIWorld's or use the CCIM Network the best in the business. If a CCIM accepts a referral, you can bet it will get looked after in a professional manner. I would get excited about the opportunities about working information in the business, not just listings, something that other services in the world do not do on an industry wide basis. Every private FSBO owner sign in your community is information that should be placed on ICIWorld. Could they make you $10,000 or $30,000 or $50,000 and more? How much would it cost to place 10 or more opportunities on ICIWorld? Subscribe today and start learning how you can serve your clients and prospects using the latest Information Technology on the Internet and how it is applied to work in the commercial real estate business successfully. An independent broker who sells businesses had his businesses advertised on ICIWorld. Two of the businesses that he had were laundromats. He received a call from a person who owned a laundromat who was checking prices and properties for sale on ICIWorld. This broker already had a buyer that was not interested in the two that he had advertised on ICIWorld but he made arrangements with this caller to show the laundromat that the caller had. He sold it and made a $20,000 commission. Many times a broker will have buyers and tenants from advertising a similar property, business, or space for lease. In this case it was worth a call for the owner of the laundromat as he sold his business even though he called someone who had a laundromat for sale. This has even happened where a broker advertised his buyers acquisition criteria. Another buyer called him anyways. This broker actually found a building that was not suitable for his buyer and sold this other gentleman a building. Again it is developing relationships with people. We encourage the public to develop relationships with the members of ICIWorld and get their information placed so the people with a similar interest can respond. By placing your information on the ICIWorld, it generates interest from people who are interested in dealing in the same kind of property and/or business. It is helping people of similar interests, find another they can relate to that is the true benefit of this service. This business is one of developing relationships for a mutually satisfactory and rewarding business transaction but it helps to have some common interests. ICIWorld helps you to meet others with a common interest. Why not subscribe to receive EMail from a popular ICIWorld EMail List Service that best serves your interest. I guarantee there is one that will deliver, or we will build it for free. Contacts . . . Make Contracts! An independent broker in the business who did not use computers, tried to get someone in his office that was computer literate to join ICIWorld with him. The computer literate fellow procrastinated a few years but they finally joined! One of his clients asked if he could sell an apartment building in another city. He listed the property, placed it on ICIWorld and received several calls, one from a principal. He sold the building for $1,000,000 and made a $50,000 commission. How did I learn about this? I was on a cruise ship and just happened to meet him and his wife. Small world, eh? ICIWorld provides training to real estate people who are learning computers. This training goes at the pace of the broker or salesperson no matter how long it takes. As long as you can turn a computer on and get yourself to http://www.iciworld.com you are in business with us to learn. ICIWorld now has a "Sold" area. When a listing is sold, it is recommended that members modify their listings, change the Status from Active to Sold, write (SOLD) in the Subject Line and then modify their listing. We suggest that this is good for business. It shows activity in an area. People can see you are selling things and may be more likely to call you to help them do some real estate business. Real Estate Brokers and Salespeople generally speaking love working with people and appreciate the opportunity to serve people well and make a living for their family as a result. For appraisers this is helpful in identifying sales in the marketplace that may be unavailable in other areas. Keep in mind a good percentage of the sales and leases that take place as a result of a connection through ICIWorld are not on real estate boards. In fact some say 90% of the shopping centers in any area in North America are not on real estate boards. The same thing is true for Apartment Buildings, Land and much more. You will find them being placed more and more on ICIWorld since it is designed to handle information, not just listings. Two independent brokers connected on the sale of a $3,000,000 building generating $90,000 in commissions. The building was in the private FSBO Area on ICIWorld. The are subsequently working on another $5,000,000 one. There have actually been portfolios place in the private FSBO Area from $25,000,000 to $40,000,000. There are 50-100 new listings a day. There literally are tens of thousands of people visiting many ICIWorld web sites. There are literally thousands of links to the databases of ICIWorld throughout the world. Keep in mind ICIWorld was the first commercial real estate information service on the Internet in 1994! Since that time we have registered in thousands of places. Today members of the service also place the database on their own web pages. This is tremendous penetration of the marketplace. This has been a full time job since the 1990's. There is no way anyone in real estate could do the same for their own home page or you would have gone broke for the time you would have had to spend. We do it all. Brokers and salespeople have been supporting the service for years through a simple and cost efficient "$240/year" for unlimited ads and, there is training to help members become very effective in their marketing of their Haves and Wants. An independent broker sold a 20 unit apartment building. He had it on ICIWorld. He had over 10 calls which he attributes that it would not have been likely they would have seen it in any other way. It was on the market for one year and then someone bought it. Total commission was $35,000. It was co-listed because the man that owned the property had a relationship with both brokers. A principal saw the information and got his own broker to get involved. For a buyer outside of your normal realm of your real estate board then this is the service in the world to be the most effective. He uses it in his listing presentations all the time. An independent Coldwell Banker Broker just sold a variety store to a Korean family. He posted a variety store for sale for $280,000. He received over 20 calls over a four month period but this one resulted in a sale. Total commission $17,000. This broker has sold many properties ICIWorld. He has sold an apartment building $1,100,000. He has an offer that he has online now on line for $1,700,000, He has sold a resort sold for $415,000. This resort was actually on the service for a year and over the year he had many calls. Some of these other people have become clients that he expects to sell in the future. He has sold motels, stores, trailer parks on the water, restaurants, and more. He uses it in his listing presentations daily. He says ICIWorld is the commercial home page in his country and there is nothing else close. He has the logo for ICIWorld on his home page linking to the database. One of the true value added services that real estate brokers and salespeople offer the public is their information handling abilities. The ability to network information in an effective manner is not a case of just having a web site. It is finding traffic lanes on the Internet that lead people to the information that you have. ICIWorld is the major world traffic site for all who are interested in commercial real estate. It is not a listing service like a real estate board or the Internet type listing services of the world although listings are being advertised. Learn some of the "differences" that make ICIWorld the leader in the Internet information business as it relates to networking information in the commercial real estate business in the world today to start deals. One piece of information can make one a lot of money. You have a chance to network that kind of information to help your clients and benefit yourself. Royal LePage Associate Broker leased a 100,000 square foot industrial building that he saw on the service. Thanks for leading me through the ICIWorld site . I think this is the best service in the world to date! It lets principals advertise their "have's" and see what "wants " are listed for a possible match ! Besides, it demonstrates to us who is active in Commercial Real Estate, who to call to either list your needs, and what is currently available. An independent broker listed a subdivision for $1,285,000 and placed it on ICIWorld. Within two weeks another broker in office of a broker member saw the listing, developed a relationship and they did a deal. Total commission was about $60,000. He is getting enquiries all the time. I was talking with a developer today and he stated that he has done three deals as a result of connections made through ICIWorld. He is finding out about properties by way of one of the EMail List Services of ICIWorld. He receives them daily and when he sees something he picks up the phone and calls the agent. The first one was an office building for $700,000 and he bought it right through the broker. The second one was a nine plex for $250,000 which he bought through the ICIWorld broker. The third property was an office building 8,800 sq. ft. which was 2/3 leased out, around $300,000 through the broker that advertised it. He says it is a good service. He says that all brokers have been helpful and looks forward to doing more deals. The EMail List Service is a free service to the public and covers every area of the world. You can subscribe to your State or Province or Region. It is free. You can unsubscribe from it anytime. People are doing deals right from these EMails!!! This is a free service because the licensed real estate brokers and salesperson members of ICIWorld support and pay for the service. It helps them serve their clients and prospects. Subscribe/Unsubscribe now. Call anytime to discuss what is the best service for you to be on. This is a global service and serves every where in the world. Services are developed based on your use. Let us know if you want a particular service and we can design it when we see that a few hundred or might use it. That is all it takes! The servers and software that collect, distribute and deliver this information are very sophisticated and are located in San Jose, California. One of them is a Sun Server with Java Programming that gives us the capability to design just about any kind of database and deliver service that we want. The key thing is that the base is in place to continue to develop this for the commercial real estate industry world wide and if you deal in any aspect of commercial real estate there is no reason why you should not be on one. One connection with one person can make you a lot of money and serve your clients and prospects well. Here is an example of how you can place an ad on one property, get a call, and then sell something else! An independent broker placed an ad for a motel, he received call, showed it, but it did not sell. He showed another property and sold it. This was with another broker and they made $15,000 commission. In a sense Have and Want Ads are like signs on properties. You receive calls, develop relationships with the people that call, and go off and sell something else. A real estate brokerage auction company listed a waterfront motel for sale for auction. The auction date was in five weeks. He placed the property for sale on ICIWorld and received a call within 1 day. This buyer turned out to be the ultimate buyer of the property. There was a 2.5% selling commission to other brokers but they sold it themselves. Property was sold unconditional, it closed in 30 days, for a price satisfactory to the seller. The property had previously been listed for sale for over five years with several other brokers, some specialists, some from Toronto, others local, none were members of ICIWorld. An independent real estate broker placed an ad for an income producing property. He had it on for 45 days and received a call from a buyer and sold the property. It closed within thirty days. This was an exclusive listing, not on MLS. This was tough one and took more than 12 hours of work and he made five figures of income. If you could advertise your Haves and Wants in a newspaper like the Toronto Star for free, would you? ICIWorld is an electronic equivalent of classified ads in a newspaper but with a market of over 500,00,000 people. We believe it to be the world's largest service of its kind for commercial real estate. We are not a real estate board or real estate board type listing service in the world. I just heard another nice story today. Three months ago one of our broker members was reading his daily mail, the Ontario ICIWorld Digest from Yahoo. He saw a bank building advertised by another member. He thought it was such a good location for something, he told his broker, asking him is there anyone he knows that might be interested. The broker said let me think about it. He came back a half hour later and said he wants to buy it. He did and the real estate is moving to a new location. In their meeting yesterday, the broker was complimenting ICIWorld and the cooperation within the office to share information. This also shows the cooperation with the other office that listed the property which was . Cooperation, respect and trust and friendship. The office that will be opening will be announced soon. This is a two part testimonial. This is a great example of how the broker in the office is using the service. But he is only using it in one way and one direction and in actual fact has been keeping his information up to date. I say this is all a learning experience for our whole industry and we are here to help you. A HomeLife office reports doing 6 deals since they joined about five years ago with a total commission of about $100,000 for their broker. A Re/Max Sales Representative leased an industrial unit and sold another one. The sale netted $22,000 and the lease was $5,000. He had them on the service for about 60 days and both were sold through two other brokers who also were members of ICIWorld. He believes all realtors should avail themselves of the service. I was talking with an independent investor today. His reaction was that unlike other sites where he has to pay, with ICIWorld he gets the information every 1/2 hour to one hour on his screen. This is because ICIWorld delivers all the information by EMail List Services absolutely free to the industry. It is unique in itself because it goes to the world and every investor who wants it. Anyone can access the information. You do not have to log in, you do not have to pay a price. He actually has had compliments from broker members about the service. His information is placed as a Want in the Private FSBO Area. It is free for everyone in the world to place Haves and Wants in the FREE FSBO Area. Brokers access this information and deal direct with principals in this area. This is a win win situation for the public since more information is networked as a result. A Re/Max agent posted 2 commercial spaces 1,200sf and 800sf for lease on ICIWorld. She had six calls in a week, four from principals and two from other agents. She leased each space to separate principals. Total commission $7,000. This agent has actually made over $30,000 in commissions since joining. This agent has been a member for three years, but it has been most productive in the last year and she is finding more and more people are using it. It's so easy. It has gotten her a lot of contacts which is leading to other business. A broker who was not a member saw an Executive Members listing on ICIWorld. He referred a purchaser to that broker. The purchaser optioned a $1.2M piece of property and subsequently exercised the option. The referring broker was in Ontario and the property was on Vancouver Island. Total commission was $60,000. Referring broker received $15,000. The referring broker spent less than five minutes setting up the referral. If you have any kind of referral network, one referral can make you $14,000 and it takes 5 minutes! I have been developing this service for ten years and I see this opportunity to work referrals. Ten referrals could make you 10 x $14,000 = $140,000 for 10 x 5 minutes = 50 minutes work. You may pose a hundred questions of why the likelihood of this is impossible. But I tell you now, it is happening!! Our private FSBO area has over 3,000 listings prime for placing referrals. This is cutting edge technology and people are just learning about these opportunities. I believe there is 100 times the business possible to be done in the marketplace than what is done on traditional real estate boards. Not that they aren't important, just that there is room in the industry for a service like this. Several hundred members renewing on a regular basis can't be all that wrong. Independent broker placed a Want on the service for an apartment building. He received a call from someone who owned an apartment building, but the person did not want to sell but wanted to buy another one. The broker found one and sold it to him. Along the way the broker had other people contact him by email that were also looking. Some ask me why do we not publish names. I can tell you that every broker prefers to exercise his competitive advantage in his market in his own way. If you need to know, let me know, we shall contact that broker who provided the testimony and have them call you. 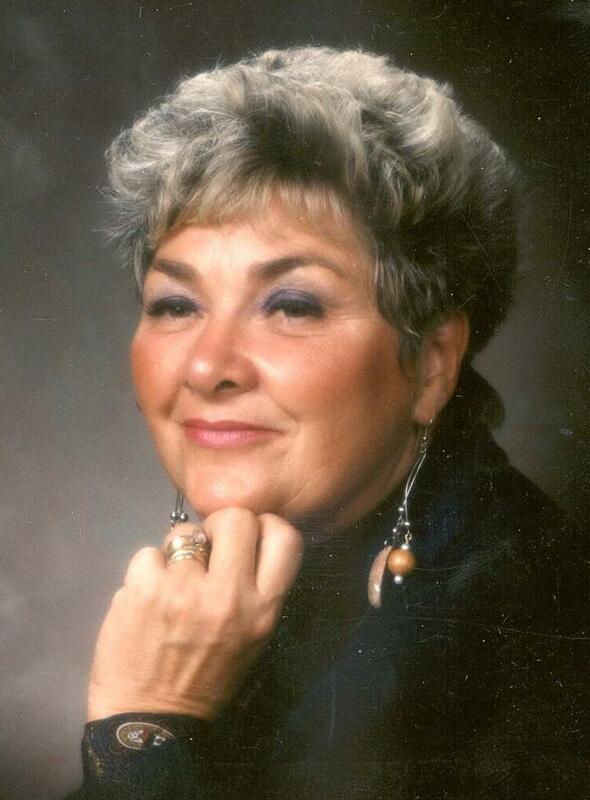 Another real estate salesperson lady let me know she sold a $10M shopping center. She got the buyer from ICIWorld by advertising her other plazas. $125,000 in commission and a job well done. In this case she prefers to keep her information confidential. Today a JJ Barnicke Broker reported a sale of $1,000,000 Office building directly to a principal making a commission of $50,000. The property was placed a year ago and was reduced throughout the year until it sold. Here are some brokers who invested money and their time to learn and got started on the Internet with ICIWorld and have benefited big time. Keep in mind this service is basically only $240 per year and commercial real estate generates considerable revenues as you will see. Members have a considerable advantage in the marketplace. Many get listings of Power of Sales from Banks because they are so well connected to buyers in the marketplace. Learning how to work referrals made one broker $10,000 with a five minute referral, and much more. A Royal LePage Associate Broker listed some land 76 acres and had it on the ICIWorld network for two years. Although his listing expired, he maintained it on ICIWorld as an open listing with agreement from the seller. One problem that it did not sell was because buyers wanted the annexation by the city to take place. Finally, it just so happened that one independent broker who was not a member of ICIWorld brought in a buyer and the property sold for $2,100,000 with a 6% commission. The significant point here is that If ICIWorld had cut this members listing off arbitrarily, these brokers, the buyers and sellers would never have gotten together to do a deal. You must understand first that every Have and Want Listing on ICIWorld is dated. As long as a person is a member, his listings are active. If the person does not renew for any reason the listings are placed in an expired listing area where only member brokers can access the contact information. It is true there are some older listings on the service that may have sold. We find 10% of the broker members cause 90% of these older listings and we work to remind them to renew their listings regularly. However the above sale is not the only sale that has occurred on older listings. I also ask, that if you call someone and the listing is sold, can you benefit from knowing how much it sold for? I also ask you, if the listing is sold, do you think the other agent may know about property not on the service that may be available? Do you see what we are suggesting? This service is really not about listings . . . it is about meeting people who you can develop relationships with that can lead to doing deals. Three brokers split $200,000. One received a call from another on a listing that did not suit them, they discussed something else not on the service and they went off and did a deal. Everything is dated. If you personally do not want to go back further that 3 months, or 6 months, or 1 year to look at listings then don't. Everything is dated, use the Advanced Feature and plug your dates in and only get results of the ones you want. As long as a person is a member, his listings are active as far as we are concerned. This same Royal Lepage Associate Broker has also sold an Industrial Building and made $55,000. A Sutton Group Associate Broker saw a listing on a plaza in the private FSBO AREA of ICIWorld, and called the owner from private fsbo area. The owner sent him the details. The agent had a great relationship with the buyer and in fact he was a friend. He gave the information to his friend. His friend drove out of town to look at the property. He came back and said "lets do the deal" and they did. Total commission $29,000. ICIWorld really has two major world databases. One is where the member brokers place information and the public, everyone and anyone in the world, can read the contact information and deal directly with the broker. It is an electronic equivalent of classified ads in a newspaper but with a market of over 500,000,000 people. The other database is where the public can place information absolutely free, but only the Executive Members of ICIWorld can read the contact information. However there is a limited view of the information in this private database. It was this private database that the Associate Broker of Sutton Group obtained his information and provided service to the buyer and the seller as a result and made money as a result. There is much business going on from this private FSBO AREA database. One developer alone placed over $150,000,000 worth of real estate in it. This is another way that Executive Members deal directly with the public. This private database can now be placed on every Executive Members home page as a list, with a statement that if any listing interests you, please feel free to give me a call. It requires some knowledge on the part of the members of ICIWorld to learn how to use the Internet and ICIWorld effectively. If you miss placing one word in your ad, that could be the difference between someone finding your information or not finding you, between doing a deal and not doing a deal. We teach that in orientation and training sessions for every new member and for every member renewing their membership. Working smart can make one a lot of money in the commercial real estate business. I have learned a lot in the last six months on how to help brokers make a lot of money. We share these concepts in the training sessions. There are one to three deals a day being reported sold. Another Re/Max sales person has had a few deals. It really does not matter how big or how small your Have or Want is. In this case it was a gas station for lease. Although it was only $3,300 per month, he advertised it, got a call, and leased it to two people. Total commission $5,000. May we suggest no broker or salesperson should drive by a private for sale sign or for lease without marking the phone number down and contacting the owner. Ask three questions: will they pay a commission, will they cover your showing with a 48 hour exclusive listing, will they allow you to advertise it on ICIWorld, but without the address? In every community in the world, there are these opportunities. Indeed our studies show that most every broker or salesperson can come up with at least 10 open type listing opportunities over the next three months if they wanted to. Each one can be worth a lot of money. Last month 44% of the sales through ICIWorld were of the open listing variety. We will teach the proper handling of this information in a training session provided to every new and renewing member. This is new found sources of income that brokers can now make thanks to services like ICIWorld and the Internet. Another Royal LePage Commercial Realtor listed an apartment building. He advertised it. He got a call, developed a relationship with the buyer who had a relative who bought a motel. This is a good example of getting calls where the person is not interested in the ad, but you develop a relationship that leads to doing business. One of the larger ones was someone called on a golf course that did not suit the person, they discussed something else not on the service, and went off and did a deal. $200,000 in commissions in this case. In my opinion, more important than the listings is the people behind the listings. However the listings help identify the people that you can do business with. That is one of the true strengths of the service. A Royal LePage broker placed 100 acres of farmland for sale. He had a number of calls and an EMail from a Sutton Group agent. Using fax and email with the Sutton agent, it resulted in the Sutton Group agent's client buying the property. Total price $1,350,000 and they split a 5% commission. This was a real estate board listing that sold as a result of a connection through ICIWorld and they split $65,000 in commission and served their clients well. If you are a member of the public, place your information Free on ICIWorld. If you are a real estate broker it is only $240 per year to place all your information all year long on the worlds largest public and private Have and Want information service and have people contact you directly. Everyone should receive Haves and Wants for their state or province or area by EMail. It is one of the Free services provided by the brokers who support the service. If you do not place your information, you can actually be missing doing deals . . . and not even know it! This is a world marketplace. One member of ICIWorld placed a Medical Building on the service for $2,500,000. 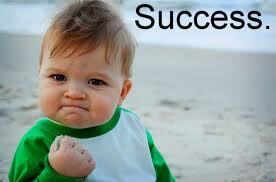 Got a call from a broker and provided the broker with the package. She thought she could sell it but couldn't. She asked for permission to give it to another broker and she did after asking for a referral fee. Each party agreed and two months later the deal closed. Total commissions $94,000. The broker renewed for another term. Cost to renew only $240. The broker says that for an independent practitioner like himself the service is invaluable. To find medical buildings on the service, search by key word medical. Senior Director, Capital Investment Group, J.J. Barnicke Limited sold three properties. He advertised two apartment buildings and some land and sold all three. We are pleased to report he has renewed for another year. The cost to renew? $240. We have noticed that the brokers who have made over $500,000 carry in some cases 30-50 listings. We suggest you carry around our Have and Wants Sheets. Whenever you recognize important information . . . write it down. If you do not, you miss working your information through the market place and you actually miss doing deals and not even know it. We have learned a lot in the last six months about the difference between the brokers that do deals and the ones that do not. Get into a Training Session with us and let us up date your knowledge on how to work smarter . . . not harder. We help brokers make money serving their clients in every market of the world our program works! You will have an advantage over the competition. They will wonder how you are doing all your deals! This is from feedback we get from members. A re/max broker was reading his email of listings coming in from ICIWorld and saw one that was an apartment building. Two hours later an agent in his office told him she was looking for an apartment building. He put her in touch with the listing agent and three months later received a cheque for $14,000. Spent a total of 25 minutes! Referrals are common throughout the service. Referrals will become an even bigger part of everyone's business marketing plan. In fact this is a new found source of business for all members with the introduction of the ability to place the FREE FSBO Database on members home pages. Here is an example: http://www.investniagara.com You make a statement that you belong to a private Have and Want commercial real estate network, if any of the following listings interest you, please feel free to give me a call. You can have up to 9,000 listings on your own home page! Call for details. If someone asks about something not in your area, that can be a referral for you! Ten referrals could be $150,000!!! How long does a referral take? You see the example above . . . 25 minutes . . . $14,000! It will happen for you if you work the program. More ideas on working smart are covered in our Training Program that is provided to every new member and also provided in the form of member updates each year on renewal. There are just so many things developing so fast that can benefit the industry and we find that most in the industry simply are not aware of these features and simply miss the benefits, and they are not even aware of them. Another Re/Max sales representative who has been a member for three years, has had three deals. One she placed a retail site for lease, received a call directly through ICIWorld and leased it. It was a $10,000 commission for a 10 year lease. On another she placed a Want for a hotel. An owner called her and eventually listed with her. She is working on offers generated from contacts through ICIWorld. On another ad she placed a Want. Another broker contacted here who new the owner of another hotel and as a result she has listed another hotel with a referral to be paid to the referral broker. I asked a question at a recent presentation to a group of commercial brokers. We found that the average broker or salesperson has 0-5 commercial listings on a real estate board. We found however that they know about 10-15 other opportunities or can come up with that amount over the next 90 days . . . all opportunities to make money. We also found they were working with anywhere from 5-10 and more buyers. It is information on these 10-15 other opportunities and 5-10 buyers that brokers around the world can work through ICIWorld very effectively. We also found that the brokers that are on ICIWorld who have made over $500,000 are working a great many Haves and Wants. Each have or want can make one a great deal of money. Most all brokers who are not placing their Have and Want opportunities on ICIWorld are actually missing doing deals . . . and don't even know it! Yet each Have or Want can make a lot of money. Our Training Program will show you a model that works to handle this kind of information in a professional manner. Our Training Program will show you how to recognize important information that can make you money and to work that information effectively. We have been helping brokers do this now for over ten years and it is working today as smooth as can be. It will work for you . . . in your area . . . no matter where you are located! Ask us the reasons why. And if you have a hesitation, call now to discuss it. We are very helpful. Consider us a marketing and information assistant to you personally. A Re/Max Associate Broker today confirmed he has sold three motels and made over $100,000. This was through a contact made through ICIWorld. I remember this one. He had a listing for six months and his renewal on ICIWorld was coming up and he had not made a deal. From my unique position in the market place I see that the majority of deals taking place occur at the top half of the database. Many people simply get too busy working the top half of the database to get down to the bottom where his listing was. By simply modifying a listing it is given a new number, it goes to the top of the database that is receiving over a quarter of a million hits per month, but also instantly and automatically it is emailed out to the industry by way of Free EMail List Services that anyone may subscribe to. He did this and got into a deal. May I suggest it is the responsibility of all members to look after their information. We have made it easy by providing a My Listings button in Member Links and Entry page to view all ones listings. With two key strokes a listing is given a new number and gets recirculated. This morning a broker who had an industrial lisiting told me he just did that and got a call right away. He was surprised, happy and pleased. I was happy but I was not surprised. I see this all the time. There are new people signing up to receive these Haves and Wants by EMail and unless you modify and listing it will not be sent out to them. You miss doing a deal and you don't even know it. One Associate Broker from HomeLIfe received a Power of Sale listing from a mortgage broker. He placed it on ICIWorld and received about four calls. One was from a principal and he sold it. To see all the Power of Sales search the word Power of Sale using the advanced search method or Search Beginner and find Key Word Searching. Could It actually may be a disservice to the public, not to list a Power of Sale here? On the Internet, this is Canada's Largest Commercial Real Estate information service and one of the largest in the world today. It has been built up over ten years. Is it a responsibility to market a power of sale using the most common and best methods of marketing in order to achieve the highest and best price? Is this a legal responsibility? Challenges to companies who do not employ ICIWorld with its wide exposure and readership could they be opening themselves to problems for not trying their hardest? Have they used all reasonable marketing vehicles compatible with the real estate industry to get the highest and best price? One Associate Broker at Coldwell Banker, Randal Furlan has had over six deals and he says he has met a lot of people through the service which in turn has led to other deals. He says he sold four apartment buildings, one with 60 townhouses and another 33 units where a principal saw his ad and he double ended it. He has sold over $4,600,000 in sales in one year through the service. Recently he also saw a Want for industrial land placed by another member and he went to the city to get a list of industrial land available around the city and contacted four owners which generated a listing of $5,000,000 which is now under contract to these people who placed the Want. One broker reported today doing three business transactions. These were manufacturing, processing plants. One broker who had a manufacturing plant saw a Want for a manufacturing plant placed by Arnold Sandler who specializes in mergers and acquisitions of manufacturing companies. He contacted Arnold and he sold it. This is a good example of how wants should be worked through the industry to get results. However it has taken ten years to get to the point where it only takes a few clicks to make this contact . . . from anywhere in the world, and it only takes an average of 4.9 seconds for a click from anywhere in the world! Additionally people receive information by EMail within minutes or by Digest within 24 hours! Everyone in the world should understand it is the best platform to collect, distribute and communicate information to the world. However to do it effectively requires just some skill talents to do it effectively and members of ICIWorld are constantly upgrading their skills to do just that. 90% of the brokers in the world are not doing it effectively. For information by email of several things you must do in my opinion to network your information to make connections to do business, send an email to principalresponse@iciworld.com (it is an auto responder) and you will have a response within a minute or two by email that can help you into your next transaction. More deals sold. One broker sold a hotel through an auctioneer who advertises on ICIWorld. How did it happen? ICIWorld conducts seminars (see reis.htm) and conferences and attends trade shows (see http://www.iciworld.ca). One trade show was the annual Canada's largest Commercial Real Estate Show at the Toronto Convention Center. ICIWorld's booth is one of the busiest at the show. Claude Beaudoin a real estate broker in Quebec was introduced to Barry Gordon an auctioneer in Ontario at the show in a seminar. Barry had a hotel in Quebec to auction and needed a licensed broker to sell it in Quebec. He asked Claude Beaudoin. This is a great example of cooperation between brokers in different provinces to do deals. The Real Estate Show provides connections and exposure for members of ICIWorld and is one of twenty major services all included in a membership to help people connect to do business. This is just one show where over 12,000 people walk up and down the aisles over a three day period. People representing over half the wealth in Canada attend this event. One sales representative today I talked with said ICIWorld has helped to get listings and this is leading to sales. People saw his name on some of his listings on ICIWorld. They contacted the member to find a manufacturing company for them. Then the member contacted some manufacturing companies that were not listed, from a contact list that he had built. He got three listings as a result. There are now sales in progress. This is all a result of a principal buyer generated contact through ICIWorld. Robert Mueller, Sales Representative, Trius Realty Inc. ICIWorld in one respect is an electronic equivalent of classified ads in a newspaper, but to a market now of over 500,000,000 people not 1,000,000 as in a small newspaper. The public is reading the information big time and contacts you directly. A broker member had a medical building advertised and he received an inquiry from another non broker member. He sent three packages of medical buildings to the broker. She did not sell it but mentioned it to another broker who was not a member and the other broker actually had a purchaser and sold it through the original broker. It was a $2,350,000 sale. Over $94,000 in commissions. From the time that the purchaser saw it to closing the deal was three months. The selling broker and the listing broker each paid the other broker a 10% referral commission. Connections like this are common through ICIWorld . . . World Wide. Keep in mind it is only 4.9 seconds average to do a search on this system from anywhere in the world. It is not a matter of "if" you will make a connection, it is only a matter of "when." www.boomfinder.com One principal reporting closing on an apartment transaction of approximately $1,750,000 as a result of connections made through ICIWorld. There are others that were done as well and more on the way. Another recent one was closed. $750,000. Another has purchased through the boomfinder over $10M. North Americas Experts share their knowledge on how they made their fortunes. Buying, Selling or Investing in Real Estate? Boomfinder is a big proponent of ICIWorld and Leon Arnold, President recently talked about it on a Radio Talk Show in San Diego. One broker sold a gas station directly to an oil company within a week. Over the last month I asked two brokers that I knew were doing well have they made over $500,000 and they indicated they had. The brokers who run 40-50 listings seem to be doing the best. How can you get to 50 listings? Buyers are listings to us. Open and exclusive information are listings to us. Just because we work open and exclusive information does not mean that we do not put agreements in place before showing properties or divulging information. Jack Peckham, CCIM www.cyberspace.com works open and exclusive information and has sold over a billion dollars worth of real estate. We personally recommend real estate board type listings however there is much more information that can be worked in commercial real estate. At a CCIM Meeting the other day, one Sales Representative member of ICIWorld reports that he gets more calls through ICIWorld than any other service. This is exciting because this a growing service and I believe the best is yet to come. I have monitored the statistics and they just continue to build as people get on the internet and learn where there is business. One broker reported that he leased an Industrial Building within 4 days of placing it on ICIWorld. One CCIM reports that he is doing a deal a month. One broker made a connection with a builder and sold over 20 properties last year. Without ICIWorld he would not have made the connection that led to over 30 deals! I believe that I can show every broker in the world where there are opportunities to make money in their marketplace that they are not working now. And it is so easy to do! We are proving it time and time again and again. Your responsibility? Join and learn how to work your information to benefit your clients and prospects. Take the Training Program. It is one thing to have a jet outside your door, but if you do not know how to fly it, you still are not going anywhere. The jet is the Internet and Information Technology. We have spent ten years working and developing ways to help brokers make money. For only $240 per year you get the benefit of this ten years of research and development. Deals are reported daily. We want yours to be the next one. We empower brokers to work the internet successfully. Successful Deals . . . Done! Shopping Centers Sold, Restaurants Sold, Apartment Buildings Sold, Retail and Industrial Buildings Leased and Sold, Resorts Sold, Land Sold, Manufacturing Businesses Sold, Hotels Sold, Golf Courses Sold, Commercial Buildings Sold, Land Sold, Subdivisions Sold, Motels Sold, Trailer Parks Sold, Businesses Sold, Development Land Sold, Office Buildings Sold and more. Some Sales and Leases. Who sold and leased them? Click Here! Expect results. Full training and personalized service included. When you mine for gold, do you rush out and tell everybody. Not really. You stake your claim and work your find. Just so with many brokers today. One broker who had three deals, works from home. He does not even tell people within his own office! Why? It is his competitive advantage in his market. Many brokers are absolutely surprised and excited to see a competent service like this on the internet. Many are skeptical that deals are getting done. And many members are not in a rush to tell the world about it. Well this advanced information is here and it has taken ten years to build it. You can be benefiting within minutes! Check our new site and let Us know what you think. Ben has sold properties to people from Europe. I sold two apartment buildings in Waterloo after a Toronto investor (with Hong Kong money) found me on ICIWorld. We had other investment listings and he did not know any realtors in the K-W area. I have also had investor interest from Europe, Israel and the US on my listings that have not, as yet, let to a completed transaction. One broker had a $1,000,000 property on the service. He received an email from Geneva Switzerland and after a while of going back and forth with email and eventually showing the property sold it. The gentleman had received the golden handshake from his firm and was returning to his home country. Not only did the broker sell the property that was on ICI World but he later he sold the family a home for $500,000. All business with and through this client can be considered benefits for a lifetime. The home sale is what I call a secondary deal because it occurred as a result of an original contact through ICI World. These are the kind of stories that I am hearing about weekly. They are common through this service! The first is what I call a primary deal where someone purchases the actual property placed on the service. The second is what I call a secondary deal, selling a home but the client came through ICI World. Secondary deals also include obtaining a client off ICI World and selling something else not on the service. Another example of a secondary deal was a broker competing for a listing. When he specifically used ICI World in his listing presentation when handling objections, he got the listing. He got the listing by using ICI World and ended up selling it through other means. All of these are benefits to their clients and to the members. You will hear more on this later from me. I call it the "Power of Many." It is the power of an industry to help you in your individual affairs. I just sold the convenience store business I had listed to a Korean business man who called on my listing within 24 hours of me REPOSTING it. occurred to me that there had been no action on it so I acted on the impulse...went in immediately and redid the ICI WORLD listing and BANG. to them the first time they see it. Just proved that theory. There is so much more I wanna do but you know...there is never enough hours. Stephen Rath, Associate Broker, Heritage Realty Schomberg Ltd.
An independent Coldwell Banker 1st London in London looked up for a member in Chatham, found an independent who subsequently had a tenant for a building that he had in Chatham and they leased it. $9,000 in one phone call. I am pleased to advise that finally, after one year of negotiations, I have completed a $520,000 sale of a resort property to a buyer client from Malaysia, obtained through the Market ICI World Network. Obviously, I will be renewing my executive membership. Sale of two apartment buildings by placing one message on the service, "two apartment buildings, coming for sale." The broker received 14 calls in 24 hours, one from a principal. He sold the first building and made $150,000 and a week later sold the other and made $89,000. "it is now necessary in my business"
"We are a major franchise and are looking for locations. This is a great vehicle to reach the marketplace." Terry, Sales Representative Century 21 Lanstars Realty Inc. "Within one day of joining The Market ICI Network and on my very first listing I received close to a $4,000,000 offer on a shopping plaza in Hamilton.."
Steve Evans, Associate Broker, Century 21 Armour Real Estate Inc. "I just wanted to inform you that your system has enhanced my ability to seure Listings. When I show my clients that I have all these purchaser's waiting to buy their property, they are quick to list their property or business with me. The fact that the Network has major players in the ICI Industry give the Network credibility. The bonus is to the public as they can also access the information. Glad to be aboard!" "I am happy to inform you that a response to a fellow broker's Have resulted in a "nice sale" of a manufacturing business. The business had already been on the market for more than a year and we worked on it together for many months. Not only was there a substantial commission, but I have a new colleague and friend. The business is profitable and the new owners are an excellent fit." "I would like to report that because of the networking opportunities offered by this system, I was able to share a six figure commission on the sale of a golf course with another member. What makes this story interesting is the fact that initial contact was made on an unrelated listing on the service. The advantages of being able to network with professionals in our field, with this type of system, is not only cost effective, but it also provides an opportunity to meet some really great people that would otherwise be terribly difficult to connect with." of time before one of the deals comes together. I remain a huge supporter Gary.... keep up the outstanding work. Diamond Sunderani, Broker of Record, Classic Realty Inc., Brokerage just reported the sale of an apartment building in Eastern Ontario Belleville area. He advertised it on ICIWorld. A buyer called. He gave him the address, he looked at it, and returned to Toronto and bought it. $985,000 and a commission of $40,000. This was Diamonds first deal on ICIWorld more than enough to pay for a lifetime of service. 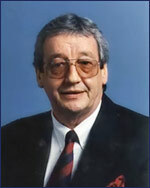 "I have found considerable benefits to the ICI Network, even though I am traditionally not a modern Internet professional student, but I have had successful dealings in Kaohsiung, Taiwan, Linte, Denmark, Cantabury, New Zealand, and I am presently negotiation in 2 other off-shore countries, I credit the ICI Network with a large part of positive movement in these particular cases. We have also completed a factory sale just under $1,000,000 directly related to the network." "Within 24 hours of advertising a horse farm property north of Toronto, there was Email on my desk from an interested party in Nashville, Tennessee. I am convinced that this sort of electronic data exchange is the way of the future. The ease of accessibility and the ability to pinpoint relevant information quickly are two features well handled by the ICI World Network. I regularly download the database and use the keyword search routine to find what I'm after." "As I watch the membership roster grow in numbers and miles I recognize new opportunities for business and contacts beyond traditional real estate boundaries. Gary, has created an advertising forum complete with on-line training and simple formatting of information that eliminates the need for extensive computer experience or expensive equipment to use." "The World ICI Network is a very interesting venture which really does not yield me any money at this time." "Yes it has been worthwhile in that I did meet some interesting people during the CCIM breakfast. Always interesting to see how the other side of the world operates." "Costs of some other broker services are somewhat prohibitive" "That is why I am a supporter of your World ICI Network." From a broker who has sold three properties as a result of introductions from the service. "If you want to make your phone ring, there is no better (or more economical) use of your advertising dollar than The Market ICI World Network. Every call, without exception, which I have received off the Internet, has been from this source." "I have had at least one positive response from my two current listings. The reason I subscribe is that I feel there needs to be a quick access product/client network if realtors are to be successful in this new electronic age. I compliment you in ensuring the system stays up-to-date. I look forward to doing my first deal and I am sure it is just a matter of time before this comes about." "We have received 4-5 calls from the United States (Arizona, California, Florida, New York) since you have listed our properties on the Internet Service. Within a week we are in negotiations to sell one of our plazas in the U.S.A."
"I have found this to be a great source of information. I obtained an industrial listing because the vendor could see that I had far more opportunity to contact buyers that his other agent had." with national or international exposure as can some of the bigger brokerages. other people in the industry. "It's great to see the membership growing at such a rapid rate. Now, with the number of properties being marketed through the network through so many commercial specialists I am receiving an increasing number of enquiries on my listings. Although this has not resulted in any deals as yet, I am confident it will. In any event my personal network grows each time I make contact with other I.C.I. agents." resulted in a offer on a property listed at $2.75 million. gives me ideas on how to value certain properties. "at this stage I'm not sure if your service will provide leads or not but I know for sure it will help in closing listings. I was successful in obtaining an out of town listing on a full service 30 room hotel in Melville, Sask. The client wanted someone with ability to market on the net." From an appraiser "Very informative service helpful in expanding our market awareness and knowledge." "I would reiterate what many others have said in the past in relation to the value represented by membership in the ICI Network and the potential for reaching the "right people" as a direct result of the networking capabilities inherent in the system. You are to be commended for your foresight and perseverance in making this system available to the ICI practioner. I would highly recommend membership for anyone serious in making a living by specializing in the ICI field, - - you cannot lose." Hi Gary- Glad to give you some feedback. Sponsorship Program for you to join ICIWorld. Ask one of the ICIWorld Executive Members to sponsor you to join. You can then join for $240 for one year and save $79. Talk to them about how they use ICIWorld to do deals. Ask them if they have fifteen opportunities on ICIWorld working information not just listings, widgets on their website generating leads and do they promote their website. The above are successful picking and choosing what works for them. ICIWorld. Provides the ultimate in Internet marketing exposure for exclusive information. AND . . . provides this service from YOUR website . . . called ICIWorld Widgets. "This is the Internet's longest and most established World Wide Have and Want Industrial, Commercial and Investment (ICI) Real Estate, Land, Businesses & Financing Information Service." Techology will never replace Realtors . . . Realtors with technology will.